When most people hear cosmetic surgery, they think of plastic surgery. Most people assume it's a surgery performed to make one's appearance better. While that can be the case, with cosmetic foot surgery, it can often be to make one's foot feel better. Surgeries such as corrective bunion surgery, hammertoe surgery, and nail fungus treatments may make your feet look better, but they can also relieve pain and embarrassment. Here at Family Foot & Ankle Specialists, we treat all types of foot and ankle problems, as well as cosmetic problems. We perform surgeries including corrective bunion surgery, a very common surgery, where the doctor realigns the bone of the big toe joint. 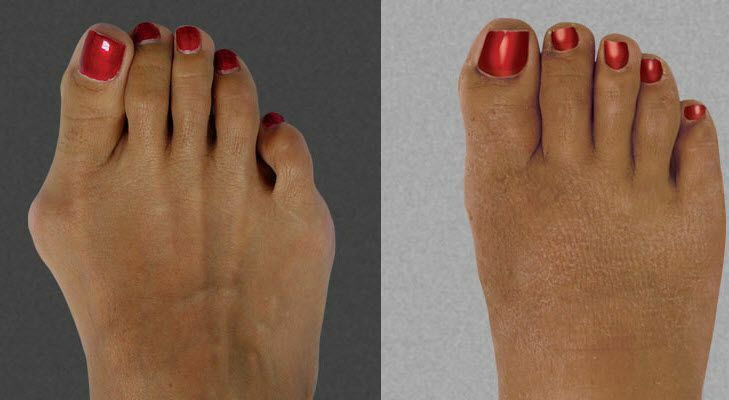 In addition, hammertoe surgery is performed to straighten out a toe. In addition, we have toenail fungus treatments available to those embarrassed by their toenails. While the affected toenail can be embarrassing- discolored, chipped or brittle, it can often be a painful condition as well. Warts, corns, and calluses are common skin conditions that can be unsightly as well as painful and uncomfortable. These conditions are commonly treated in the office and may require a simple treatment. With foot problems, the best way to treat a problem is to treat it early...or preventing it all together! Shoes, excessive foot sweat, and overuse are the most common contributing factors to foot problems. Wearing proper shoes and getting regular check ups can help to prevent some of the most common foot problems.